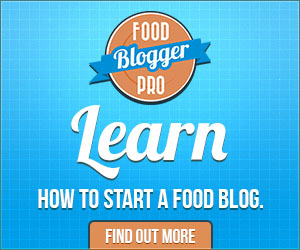 The title of this post pretty much breaks all the Search Engine Optimization rules of food blogging. The rules say your title should be the same as the recipe and you should mention the title again in your first few sentences. And never ever use a made-up title. 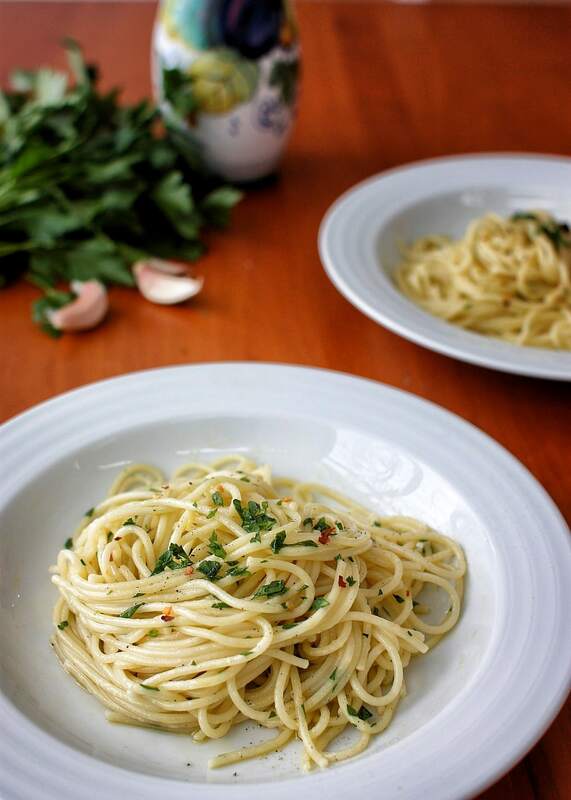 The trouble is, we eat “Noodles in Olio” a few times every month! This is the recipe that always has your back. When the chips are down, and the refrigerator is bare, this recipe comes through. It’s the Rick Astley of Pasta. How could I NOT share this recipe? Ok, ok. This is actually called Spaghetti Aglio E Olio. But we’re Midwesterners and it just comes out “Noodles in Olio”. And we still feel very fancy for saying “Olio”. This is the first recipe my kids learned by heart, and it’s a staple for Mom-less Tuesday Nights when I work late and dad runs the show. The amazing thing about dads is that they can make a big show out of a simple dish and the kids think they’re at a 5 star restaurant. Me? I’d be thinking….we need a green vegetable here. We need some protein. Dads? They just turn up the music, pour a glass of wine, and pile the pasta high. Happy New Year all. Enjoy the pasta. Bring a large pot of water to boil for the pasta. Add enough salt to the water to make it "taste like the ocean". Cook the pasta according to the package directions, stirring occationally, cook until al dente. While the water is coming to a boil and the pasta is cooking, prepare the garlic oil. Place the olive oil and sliced garlic in a heavy saucepan, and heat over the lowest heat. You want to slowly cook the garlic, not burn it to crisps. Once the garlic becomes golden brown, remove from heat and strain the oil into a small bowl and discard the garlic chips. If using, add the red pepper flakes to the garlic oil. Once the pasta is cooked, drain and return to the pot. Add the garlic oil and chopped parsley. Stir and serve hot!